May I link to iands.org? 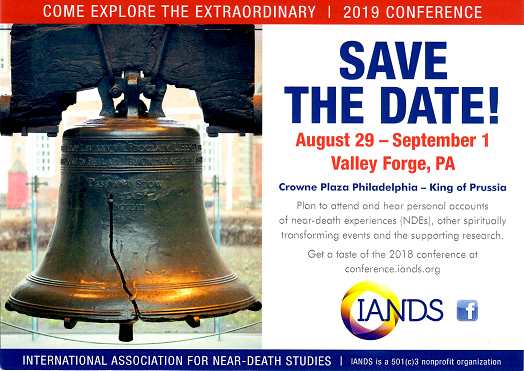 We encourage you to link your website to the IANDS website by posting a hyperlink to iands.org. Please keep in mind this is not permission to host an iands.org article or other content on your Web site, but merely to create a text hyperlink from your Web site to page(s) at iands.org. Please do not use any iands.org logos or trademarks as hyperlinks. IANDS reserves the right to request the removal of any such hyperlinks. Will iands.org link to my site? May I copy the text of a near-death experience or similar experience and publish it as a quotation in a book or article? If the book or article's use involves research, scholarship or education of the public. If the book or article's use is of a commercial nature or is for nonprofit educational purposes. A commercial use weighs against a claim of fair use but does not preclude it, if other factors are involved. If there is not a likely impact on the NDEr's potential to market the NDE account, especially considering the next item. The fact that these NDE accounts have already been published and are freely available on the Internet. If the number of words the author is quoting is small (for example, 250 words) or is small compared to the total of the account. Use of longer quotations may still count as fair use, if other factors are involved. Alternatively, the author can reword a long quotation in the author's own words, and can include only shorter portions that are directly quoted. If the author includes where these accounts have been published, that is, gives credit to the International Association for Near-Death Studies (http://www.iands.org/). May I use content I find on iands.org for something such as a school project? Copyright <DATE(s)>, International Association for Near-Death Studies (IANDS). All rights reserved. Reprinted with permission from http://www.iands.org. You may also print and freely distribute any of the brochures we have on our site that are in PDF format, as long as you do not change the brochures in any way; this includes not omitting anything.